PERRUCCIO. Louis P. Perruccio, 92, of Windsor, beloved husband of the late Angela (Tillona) Perruccio passed away Monday, (April 30, 2012) Born May 20, 1919 in Middletown, son of the late Raphael and Maria (Signorelli) Perruccio, predeceased by a brother and two sisters, Sebastian, Anna, and Angela. 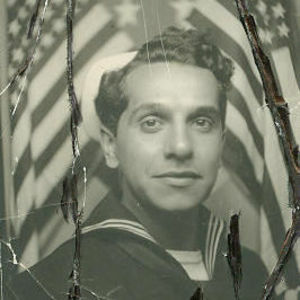 He had lived in Windsor since 1940 He served as a first class petty officer with the U.S. Navy during WWII. Before retiring he owned and operated Penthouse Beauty Studio in Hartford. He is survived by a son, Louis R. Perruccio, his wife Jeanie; a granddaughter, Jeanie R. Harrison, two great grandsons, Glenn Blanco, Carl Horlitz, Nieces, Jeanie Russo, Peggy (Tillona) Upton, Tina Tillona. Nephews: Steven, Richard, Carl , Johnny and JimmyTillona. Bruce and I would like to express our condolences on the loss of your father. He will be in our prayers.